Foto de stock - Gold Death Mask from Grave V, Grave Circle A, Mycenae. 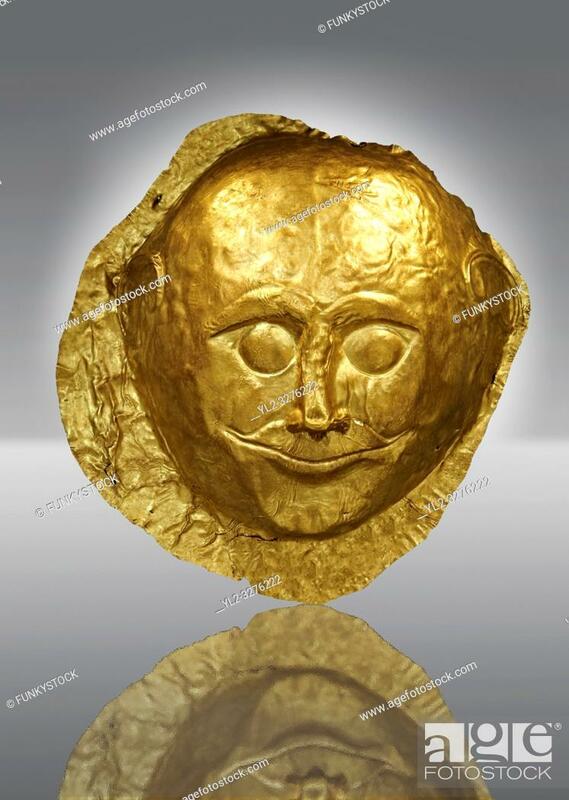 The mask is made of a thin sheet of beaten gold and is the only mask from grave circle A with eyes open. 16th century BC ... . Cat No 259 Athens Archaeological Museum.